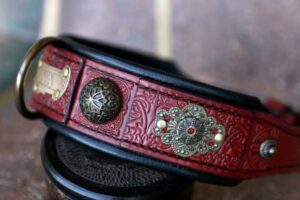 Designed for the canine’s most charming chubbies, Workshop Sauri’s custom made leather bulldog collars bring together quality, extravagance and functionality. 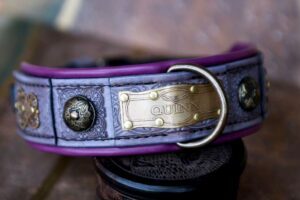 We recognize the uniqueness of each bulldog hence celebrate the diversity in our design. 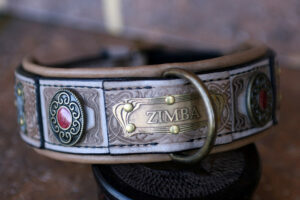 Bulldogs are characterized by a large head, strong, square built. 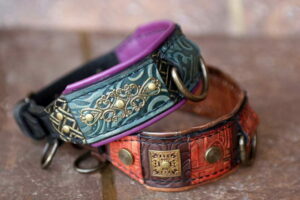 Their necks are moderate in length, muscular, tapering from the shoulders to the ears. 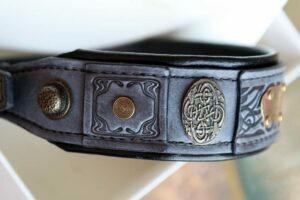 It ranges from medium to large in circumference. 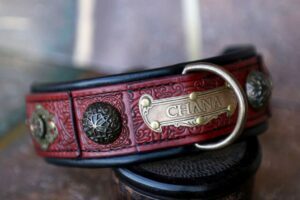 Depending on the specific breed, bulldogs will have more or less loose, thick and wrinkled skin around throat. 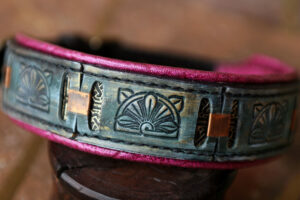 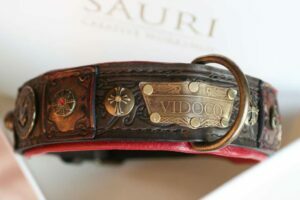 Workshop Sauri’s Bulldog Collars have somewhat narrower surface at the back of with ends tapering under the chin. 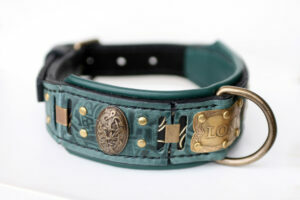 Collar widths vary from 4,5 – 6 cm (1 ¾ – 2 ¼ in) at the back of the neck, and 2 – 4 cm (¾ – 1 ½ in) under the chin. 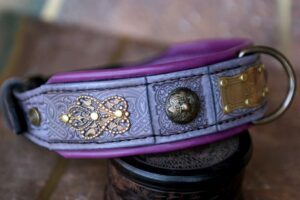 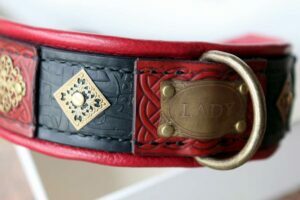 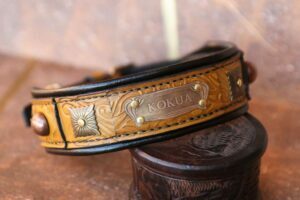 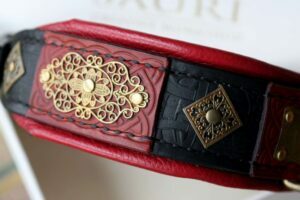 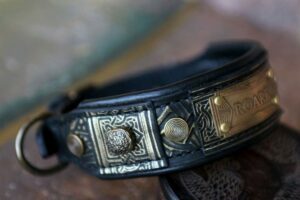 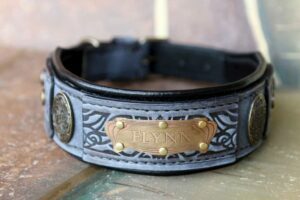 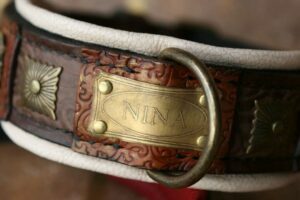 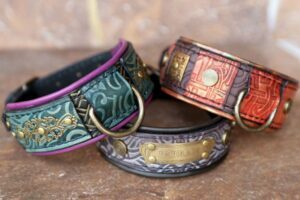 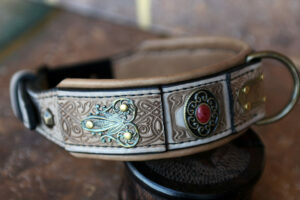 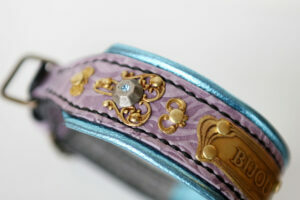 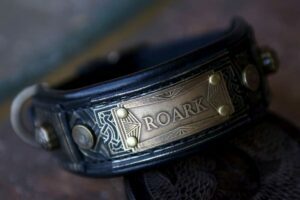 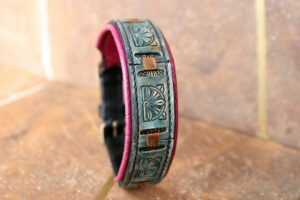 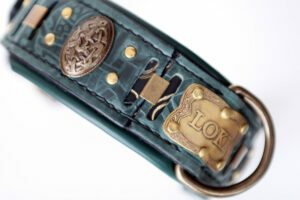 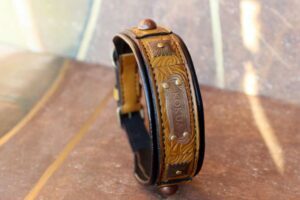 We hand craft practical and unique leather collars – embroidered bulldog collars, luxury collars with name plates, collars with leather padding. 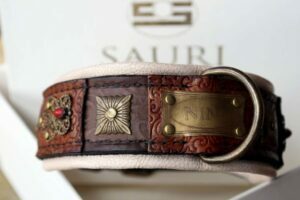 Sauri leather collar will crown your bulldog’s appearance and personality: from the smallest Frenchies or charming English bulldogs to the largest Mallorquin, American and Alapaha blue blood bulldogs.